Yes that was a lame attempt at a play on words to that "50 Shades of Grey (Gray?)" phenomenon that never interested me. 50 posts in and it's safe to say I'm not the same person I was when I started blogging. Yes, I like to be dramatic, but I really feel different. It could be from blogging, it could be from things thathave happened, either way blogging has definite served as a vessel for me and I can't wait to see where it will take me. 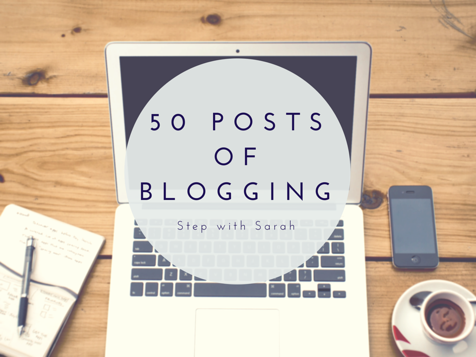 What have I learnt about blogging (and maybe myself) after 50 posts? It takes more effort than you think, meaning it's harder than you think. I thought it was just typing words and clicking publish but, for me personally, it is far from it. It is thinking of WHAT to write first, editing, adding images, getting your posts out there, connecting with other bloggers. BUT I LOVE IT! I love blogging. It allows me to write about what I love and read about what I love and I always walk away from blogging feeling refreshed and energised and sometimes a little bit smarter. There are so many blogs out there with so much knowledge, wisdom, information and even entertainment and comedy to share. It's rewarding. The time and effort pays off. I started my blog for myself, just to have a little something or somewhere all for me. Hitting publish was enough for me. I was a bit apprehensive about getting my blog out there (most of my friends STILL don't know about my blog, my hubby JUST started reading mine, 3 posts ago!) but every time I get a comment or retweet or reply or any type of interaction, as a result of my blog, I feel great. It's quite helpful to set goals, big or small. A big goal of mine right now is to go self hosted and get a nice new blog design. A small, or maybe big goal, is to understand SEO. Seriously what is SEO?? I just don't get it! Having plans for your blog or even your day just help things roll along. Step away sometimes. It's good for you and your blog. I've noticed for practicality and for the sanity of my family and for the sake of the house work not piling up too badly, I blog in chunks a few hours at a time. Of course my mind can't stop ticking and I feel like I will come up with something blog related at the weirdest time. Who knew the shower was so full of inspiration? Editing is key but something I am working on. It took me awhile to figure out when a post was done, I would fiddle and tweak and insert and cut a post for so long, waiting for the urge to push publish. But that button doesn't mean the end of a post. I frequently go back and add in or edit out older posts. You don't blog alone. Well being an active member of the blogosphere obviously means you get to interact with and connect to people from all over the world. On a more local note, I've reached out to some of my friends who have a rather creative flair for advice on many aspects such as blog design, interesting content and social media sharing etiquette. Not surprisingly blogging is quite introspective and allows you to gather your thoughts, answer those questions you'd rather avoid and say things you might not necessary say in real, offline life. I like expressing myself. I like to think I'm a creative person and I've always liked to express my creativity, through drawings, stories, photography, dance, all from a very young age. If anything, blogging has woken up that little girl who was always unsure about herself, to a space where it's perfectly fine to be you, and just you, all you. My voice has some value and worth. Hopefully that didn't come off more dramatic than I intended it too, but like I previously said, I was always unsure of myself. I think with age and becoming a parent and some other things I've achieved, you become more reassured in yourself and your capabilities and what you have to bring to the table. I have far more in common with others than I thought I did. Again, with the whole unsure of myself and whether I "fit in" with others, I am now constantly finding bloggers and tweeters that make me say "ME TOO!". I still have a LONG WAY TO GO, but as my header says, every journey starts with a single step. 50 steps later I am feeling, excited, renewed and positive, which is very different to how I felt, 50 steps ago. 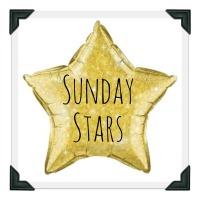 Thank you to those who have stopped by, left such wonderful, inspiring comments or connected with me on Twitter, BlogLovin or Instagram. Aaaaaaand.... step. That could be me. I'm only 12 posts in, but so much rings true. Be interesting to see where you are at 100 posts. Lovely! I'm nearly at post 50 and its harder than I thought it would be. Being relatively new to the blogging world, I totally agree with many of these points. I too am trying to go self-hosted and also have NO IDEA what SEO means (or actually RSS to be honest) and I don't know how to write HTML code (I can copy and past it, but that's as far as I go!). Good luck with continuing the blogging journey.